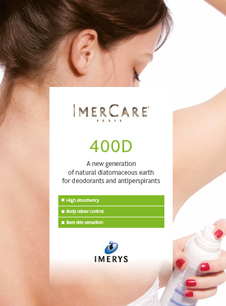 ImerCare® 400D is the most water- and oil-absorbent, engineered, diatomaceous earth product for deodorant applications available on the market today. 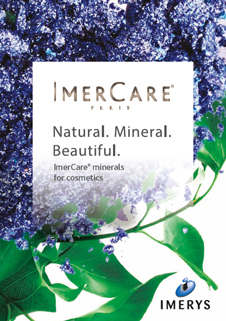 ImerCare® 400D’s exceptional absorbency power is due to its unique morphology, resulting in particles with an exceedingly high surface area. ImerCare® 400D improves the dry touch of deodorants and accelerates sweat evaporation. ImerCare® 400D is Cosmos approved.